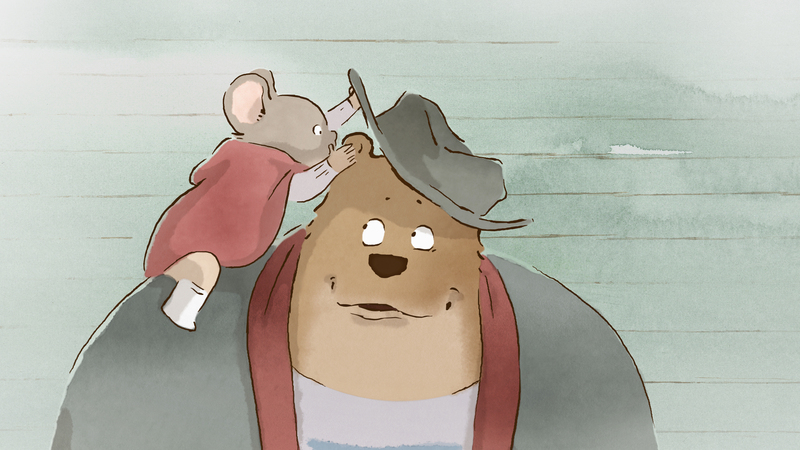 Fall in love with a heartwarming story that is “pure delight” (The Village Voice) when the award-winning, fan favorite Ernest & Celestine comes to Blu-ray Combo Pack and DVD June 17 from GKIDS, in conjunction with Cinedigm (NASDAQ: CIDM). Garnering France’s César Award for Best Animated Feature and a nomination for Best Animated Feature at the 86th Academy Awards®, the visually stunning and brilliantly comedic film earned standing ovations at Cannes and Toronto International Film Festivals. Ernest & Celestine features the voice talents of a collection of celebrated actors including Oscar®-winner Forest Whitaker (The Last King of Scotland), Mackenzie Foy (The Conjuring, The Twilight Saga), Oscar® nominee and Honorary Award Winner Lauren Bacall (The Mirror Has Two Faces), Oscar® nominee and two-time Golden Globe® winner Paul Giamatti (Cinderella Man, Sideways), Oscar and Golden Globe® nominee William H. Macy (Fargo, “Shameless”), Golden Globe® nominee Megan Mullally (“Will & Grace”), Nick Offerman (“Parks And Recreation”) and Golden Globe® winner Jeffrey Wright (Angels In America). 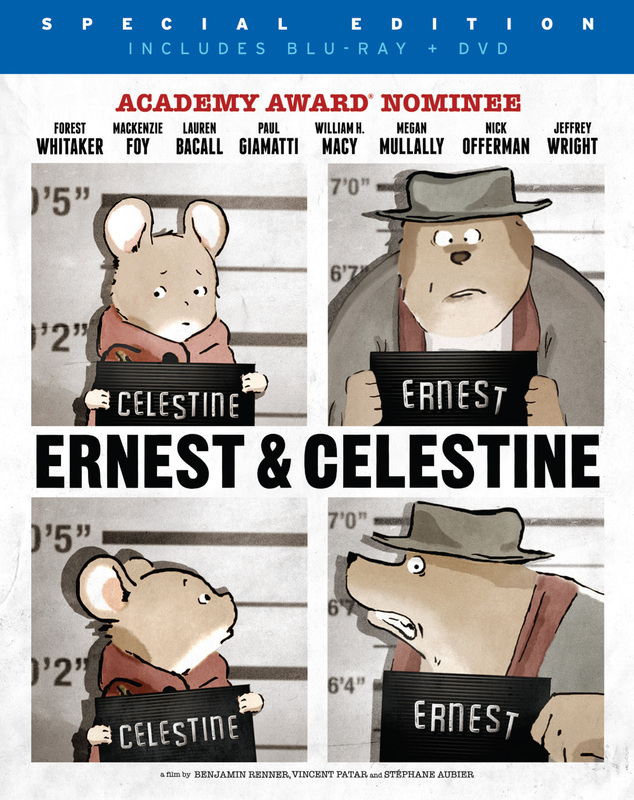 Based on the classic Belgian book series by Gabrielle Vincent, Ernest & Celestine takes place in a beautiful, water-colored world in which a society of mice live underground in constant fear of the bears that dwell in the city above. When one of them, Celestine, comes face to face with Ernest, a bear, an unlikely, but beautiful friendship begins. Featuring the voices of Forest Whitaker, Mackenzie Foy, Lauren Bacall, Paul Giamatti, William H. Macy, Megan Mullally, Nick Offerman and Jeffrey Wright!